Stylish Nonsense is a legendary of electronic music duo from Bangkok. 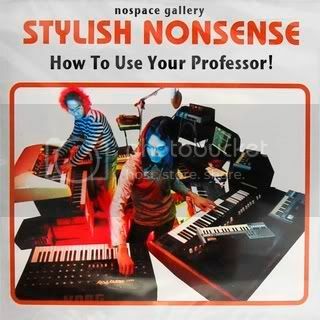 Stylish Nonsense released their first album, called ‘Use your professor!’ with Small Room Records, in 2004. The album became talk-of-the-town and the band was invited to show at several places, included Japan, France, Germany and Etc. ‘How to use your professor’ is the making of a remarkable electronic music album ‘Use your professor!’ in the format of mix-media installation, included live performance at the end of exhibition period. Early touch-screen computer with speaker runs Stylish Nonsense MIDI tracks by Early Cakewalk!! !